February 14th, Valentine’s Day. A date everyone remembers. A day which is considered important if you are in a relationship. A day you especially spend with your loved ones. And yes, your loved ones can be your girlfriend, boyfriend, family members, friends, anyone you love. The main concept of Valentine’s Day is to express your love towards the person you love the most. Now, of course, you don’t need one particular day to show your love, but the craze of celebrating this day has increased to a vast extent. So how can you spend this day with your loved one? It should be something special, romantic and simple. One way is that you can take them on a romantic date, give them expensive gifts, buy them chocolates, teddy bear, flowers (especially roses). This is the most common and old way of celebrating Valentine’s Day. And to some extent, this is a pretty good way to make your loved ones happy. Well, before planning it, the two things that come to our mind are their happiness and the budget. Frankly the former is not an issue because if they love you and care for you they don’t need these expensive gifts, they just need you to share your precious time for them and with them. So they would appreciate whatever you do for them, they just need to see your efforts. 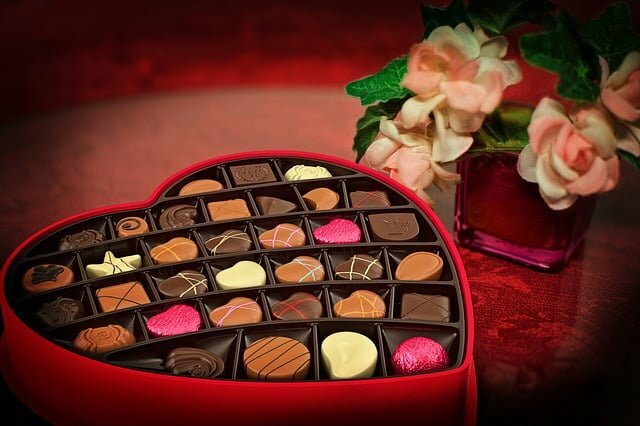 If all these years, you have spent a good amount of money on Valentine’s Day celebrations, try cutting the budget low. So both of you can be happy with the celebration. The art of expressing your love is in simple things. And when I say simple things I mean the simple gestures you do for them. The small changes you go through for them. You can wake up early on that day and make breakfast for them. It would surprise them if you get up earlier than every day and prepare breakfast. You can even plan to stay home and watch movies together the whole afternoon, order the lunch and just enjoy each other’s company. Or you can just cook the meal at home and arrange a home lunch date. Try making their favourite dessert for them. You may even decorate the room before they wake up. Just hanging your clicks with them and writing cute quotes will do the magic. You can also take them down the memory lane by making an album of the photographs you click together and arranging it in order. Plan a scavenger hunt, let it be in your house, but make sure the clues are exciting and make the ending more interesting. Also, you can just build a tent in your backyard and plan a camp date. Okay, and anyone would agree that stargazing, blanket and your love all together is pure bliss. So stargazing is always a great plan. If you have a musical instrument, you can learn to play their favourite song on that instrument, or you can just recall the last song he/she requested you to play. You can even sing a song or two for them and sort of plan a musical date. Talking about music you can create a playlist of songs which remind you of them and gift it. Get word magnets for fridge and arrange sweet and cute quotes for them to wake up to. You can also write notes complimenting them and just put it on the side table for them to notice it. Just to be more romantic, recreate your first date or the incidents of your first meet. If you are a bit creative, you can try making the DIY gifts by referring to the videos online. That would be the best way to show your efforts. If your partner loves cute things, screenshot your cutest texts you exchange and gift them. Of course, Valentine’s Day isn’t a holiday. So if you are one of those unlucky couples who have to work on that day, you can write notes about what you love about them and some sweet quotes and put it in their purse or suitcase. If you work nearby your partner you can just surprise them by going to their workplace with lunch. After coming back home, you can plan to take a romantic bubble bath together. Or you can also go to watch the sunset at a scenic location and just spend some time with your partner. So remember, it doesn’t matter if you are spending a bulk of money or just celebrating it on a low budget. What matters is the time and effort you put in to make that moment special for the person you love.